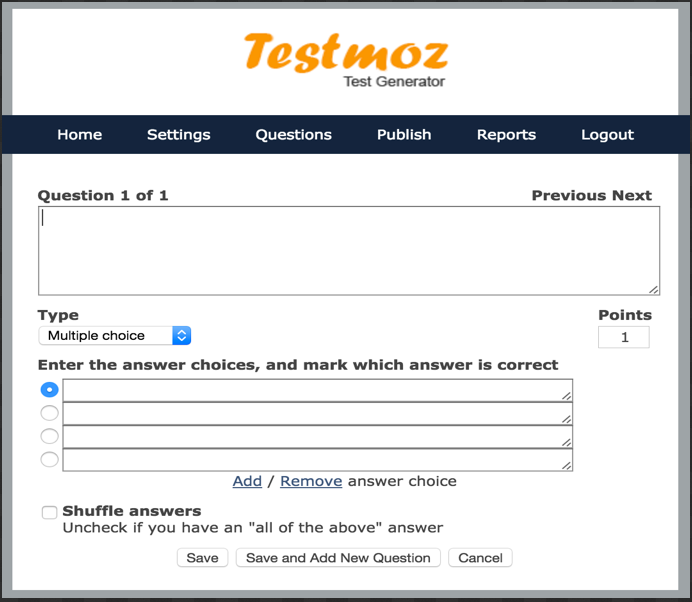 Testmoz also provides detailed reports so teachers can analyze students scores and responses. Data from these reports can be easily exported and saved in CSV file. Password Protection is another excellent feature in Testmoz. It allows you to lock your test using a password so strangers can’t access it. Additionally, Testmoz does not require any registration, however registered members have access to more features than others. Opening an account with Testmoz will cost you $20 and allows you to add unlimited number of questions to your tests ( users with no account are only allowed 50 questions). Also, as a member, your test can be taken by unlimited number of people compared to 100 for non-members. 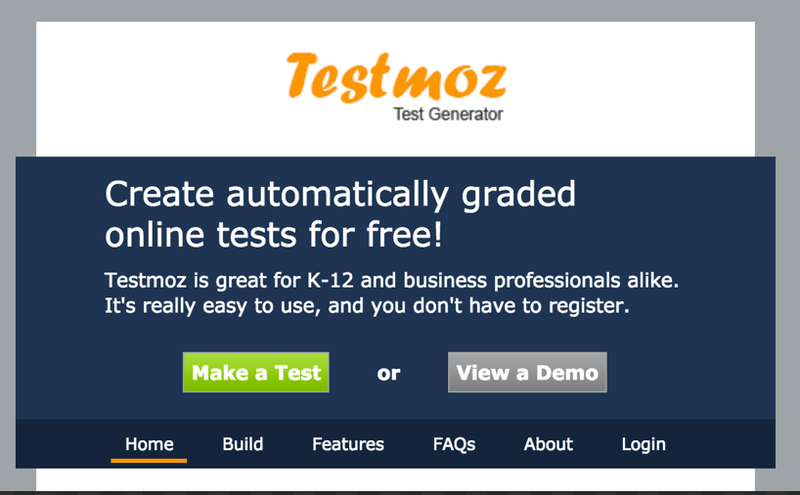 To create a test on Testmoz, click on ‘Make a Test’ button in home page. Type in your name and provide a password for your test. 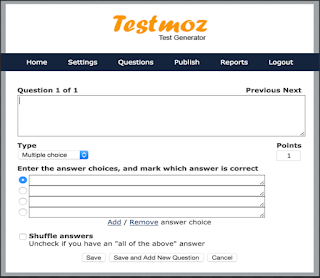 As you get to the test control panel, you will be able to adjust the settings of your test (e.g change the quiz name, description and what happens when the quiz is graded); add questions and when you are done click on publish to share your test.